Baltimore County has a population of 805,000 residents. The area is considered part of the Baltimore/Washington Metro area and has the city of Towson as its County seat. The area has a rich pre-colonial history and was founded in 1659. It covers an area of 682.3 square miles. The city of Baltimore is no longer a part of the county and much of the area is suburban in nature. There are large areas of rural property in northern Baltimore County where rolling hills and dense forests are located. This area holds many state and national historic properties that are registered with the National Register of Historic Places. American Revolution enthusiasts are often visitors to the various cities and townships. 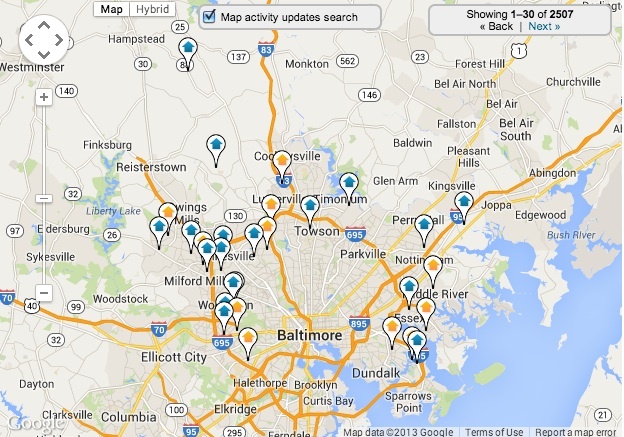 Baltimore County has 31 unincorporated communities that are considered Census – Designated Places. The county also has 31 other communities which are classified as non-– Census – Designated Places. The Baltimore County landscape is expansive and diverse; the suburban areas offer tree lined streets while the rural areas are covered with lush forests and rolling hills. Coming soon 1BD/1BTH with garage parking! Updated HRDWD through, granite counters, S/S appliances, Balcony. High View At Hnt Bldg.